Hummus is a great, high protein vegan spread, but all that health can take a wrong turn when you pair it with a Costco sized bag of pita chips (I am very much singling out my boyfriend here). 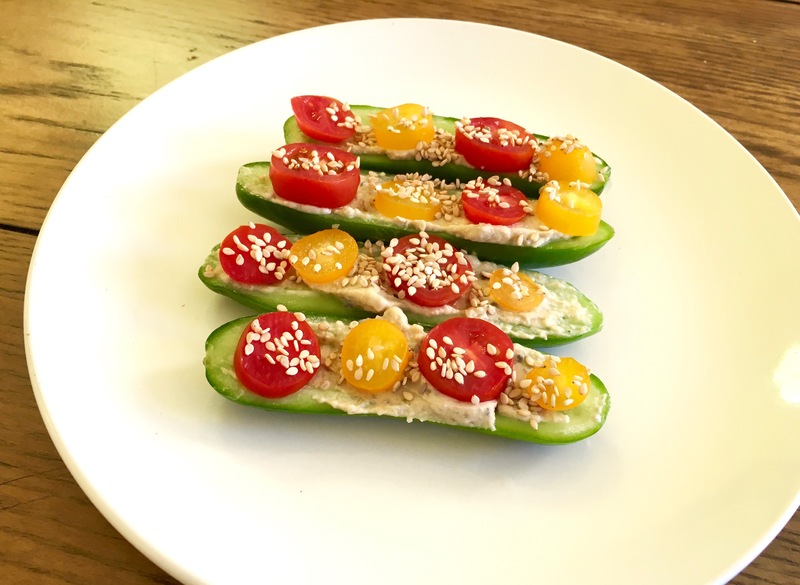 For a light snack or app that looks festive, make these simple cucumber hummus boats. They are easy to make and the combo of creamy hummus and crispy crunchy cucumbers is on point. Any type of hummus or really any type of dip/spread will do for that matter. I’ve used sriracha hummus, black bean dip and more and they all work great! Slice cucumbers in half and using a small spoon or grapefruit spoon, remove seeds to create a boat like shape. Scoop a half tablespoon of hummus into each cucumber half and spread evenly. Slice cherry tomatoes and place on top of hummus. 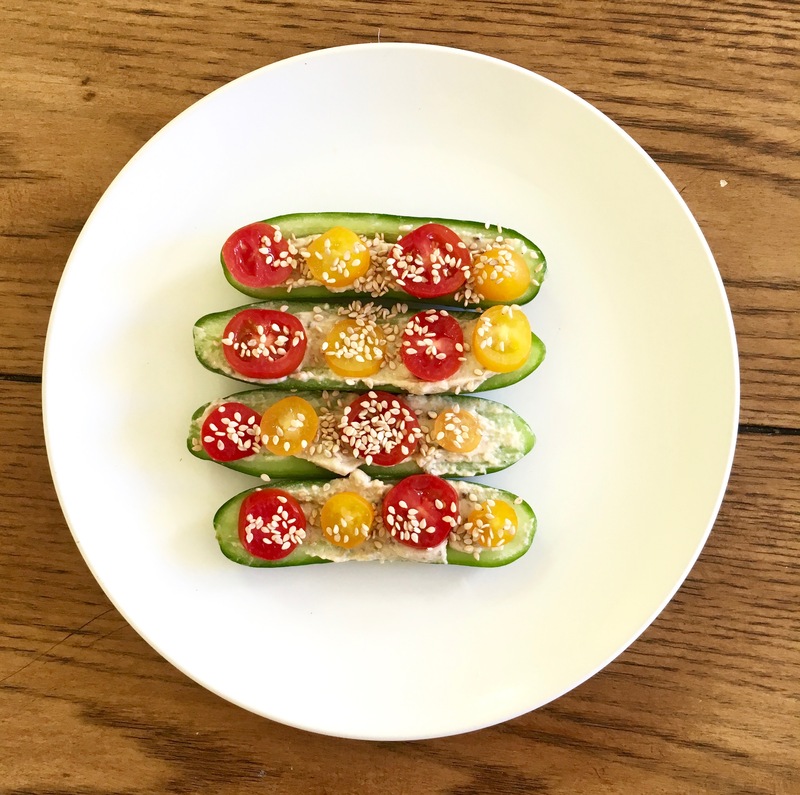 Sprinkle each cucumber boat with ¼ teaspoon of sesame seeds.